Although your stroller collection is seriously impressive, your kiddo would much rather catch a ride on your shoulders. While they’re busy enjoying the view and pointing out birds, you’re clutching onto their ankles for dear life. Good times (at least for one of you). 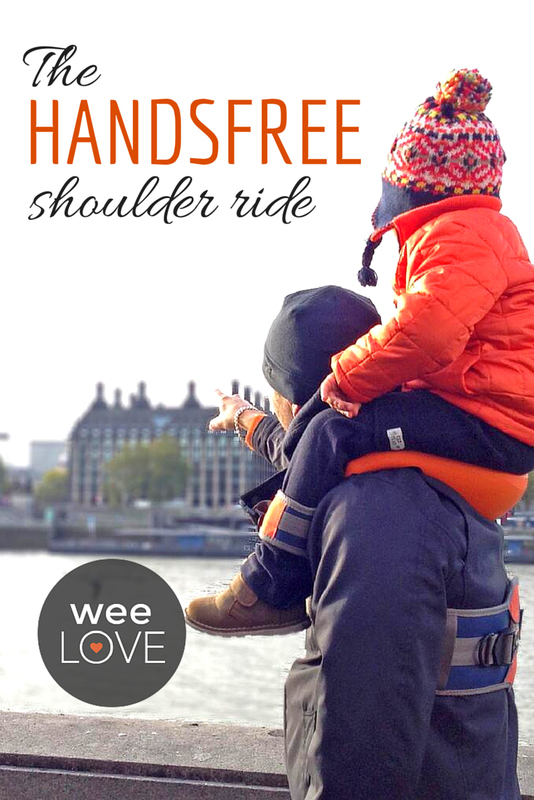 SaddleBaby, a hands-free shoulder carrier, uses industrial fasteners and adjustable buckles to safely secure your child. Now you can give your little one a lift, while having the freedom to use your hands to carry groceries or Google directions with peace of mind. It’s designed for two- to five-year olds, or a max weight of 50 pounds. Plus, the built-in backpack enables you to actually wear the carrier when your tot would rather walk. It takes a bit of getting used to (and some say it’s easier for dads to use, due to the placement of the chest strap). But, this parent-invented carrier can make a trip to the zoo or a stroll through the farmers market way easier.